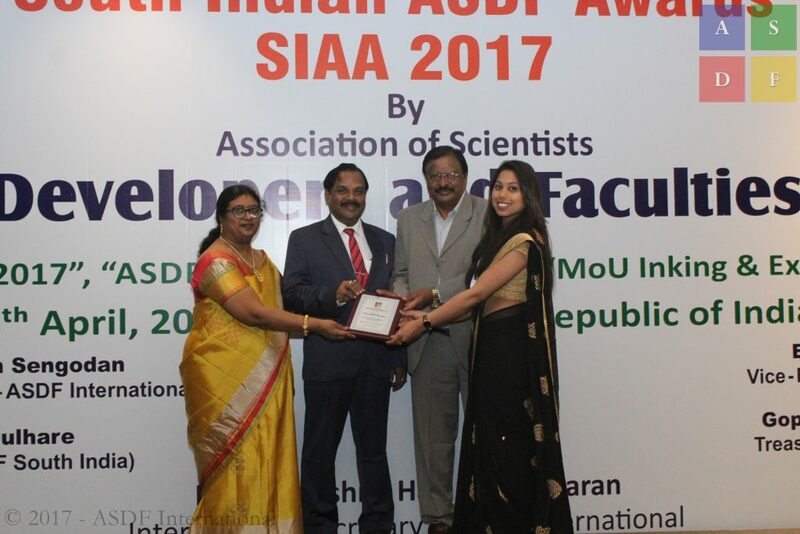 Shriya Shripad Ambhaikar, received the Best Young Researcher (Female) award from the most respected dignitaries of the 2nd ASDF SIAA 2017. The 2nd SIAA 2017 happened at Crowne Plaza, Kochi, Kerala, Republic of India on 8th April, 2017. This year we had almost 7186 applications from which 45 were selected in various categories and various metrics.